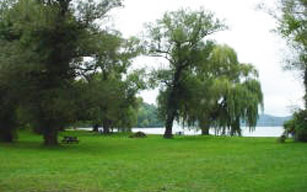 The park, rich in natural and human history, is also the site of historic wine cellars that are thought of be the oldest in New York State and the Croton Point Nature Center. Parking fees: $5 with Park Pass, $10 without Park Pass; daily beginning May 25 - Labor Day; weekends only in May and September until Sunday, Sept. 29. Members of the Miniature Aircraft Association of Westchester fly radio-controlled model aircraft at a Croton Point field.